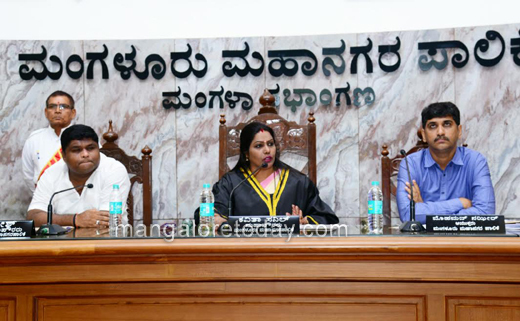 Mangaluru, June 1,2017: The Council of the MCC, Mangaluru City Corporation, in the monthly meeting on May 31,Wednesday agreed to constitute a council committee to look into the issue of pollution in the Phalguni River. The pollution is leading into serious effects and death of thousands of fish and affected the marine life in Malavoor dam. Irked over the death of a large number of fish in the Gurupura River, apparently due to pollution, Deepak Poojary, Dayanand, Mahabal Marla, Sudheer Shetty demanded action against industries that are releasing effluents directly into the river. Mayor Kavitha Sanil said that the committee will look into the cause of the pollution after inspecting the spot. Based on the report of the committee, the decision will be taken on dealing with the industries. 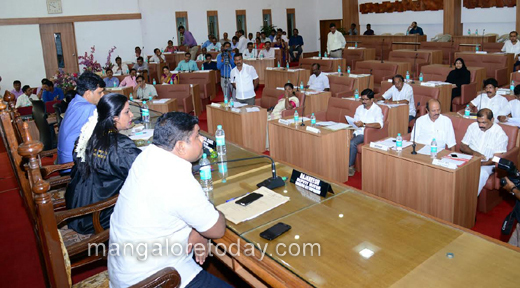 Further, she said that she will raise the issue in a meeting related to environment in Bengaluru next week. Earlier, members had urged the MCC to serve notices to industries that release effluents into the river and disconnect water supply to such industries. Corporators also said that even sewage flows into water bodies at Mulihithlu, Bajal Madhavanagara and Jeppinamogaru. 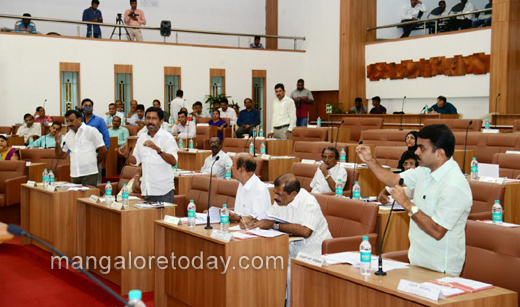 Generators for STPs : Council Opposition leader Ganesh Hosabettu said that pump sets on five wet wells in Surathkal are defunct and panel boards in the STP are in pathetic condition. Replying to it, the Corporation Commissioner Mohammed Nazeer said that the STP at Surathkal is functioning, however, there are problems with regard to the functioning of wet wells. "I have directed the executive engineers to install generators at all the STPs to ensure that there is no disruption in pumping. The engineers have been asked to repair even the pump sets in the wet wells," said the commissioner. Executive engineer Ganesh said that pump sets and panel boards installed under Phase-I of the ADB-funded project are not in good condition. At least one pump set has been repaired in all the wet wells in Surathkal, he added. 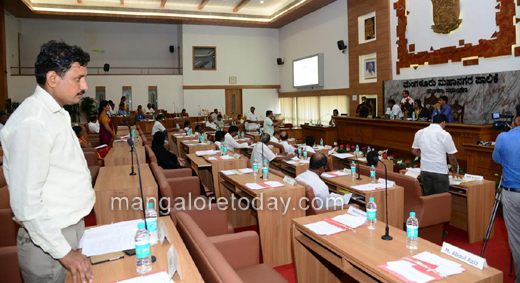 MLC Ivan D’Souza, who attended the meeting, said that crores of rupees have been spent in taking up UGD works under ADB-funded project. "The seepage in manholes, however, is polluting the wells and other water bodies in the city. There is a need to conduct an enquiry into it," he said. 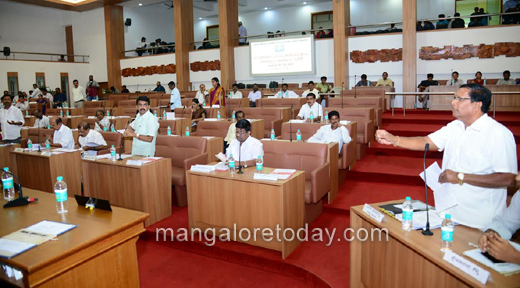 The opposition members demanded a Lokayukta probe into the poor quality of works initiated under ADB-funded project. An official said that the government’s direction makes it mandatory for all residential buildings with more than 20 housing units or buildings with more than 2,000 square metres of built-up area to build a sewage treatment plant (STP). However, the members said that hospitals, colleges and hostels do not have proper STP and release the effluents directly into the drains. Mayor Kavitha Sanil directed the town planning officers to conduct an inspection on multi-storeyed buildings and submit a report on the STPs. Moreover, the completion certificates should be issued only after the owners make arrangements to treat all their sewage, she ordered.